Civita Homes is an upscale gated community in the Ocean Ridge area of Newport Coast, California. Typical Civita Homes are single-family with three to four bedroom floor plans ranging from 2,600 to 4,000 square feet. Civita Homes are built in the Mediterranean architectural style and feature amazing views of the Pacific Ocean and Catalina Island. The homeowners' association provides an Olympic-size pool, clubhouse, spa and tennis courts. 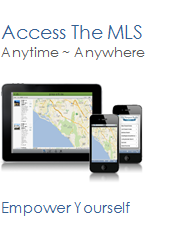 See all Civita Newport Coast Homes For Sale.